A new and growing group in Krakow aims to unite entrepreneurs (established and aspiring), students, local organizations, and Krakow at large to learn about what makes and breaks a successful business. To give current students access to role models among entrepreneurial alumni who can help transmit the message that business success is possible. To celebrate the business success of alumni. and the sense that the current generation of students (And maybe official University organs), appreciate and value entrepreneurial success. To provide a business friendly environment where students from different universities in Krakow can meet and get to know each other, and develop their networks. To encourage Student Societies to support business and social entrepreneurship among their members. To do so, they host events where community entrepreneurs speak about their experiences, give advice to the audience, take questions, and make themselves available to network in a relaxed environment afterward. The first two were a success, including, among other speakers, the editor-in-chief of The Krakow Post (which is a media partner). 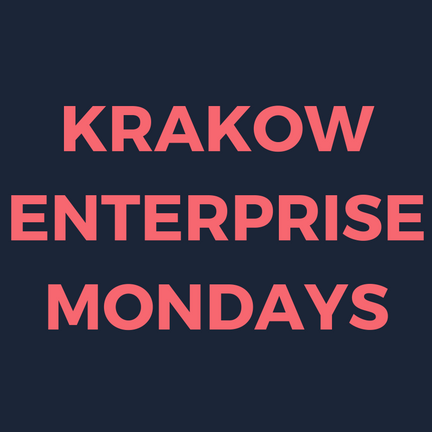 The third Krakow Enterprise Monday – which is next Monday at 18.30 at The Stage (ul. Łobzowska 3) – will feature Eataway/Local Life/Krakow Post co-owner Marta Bradshaw as well as the cofounder of events listing site Crossweb.pl Krzysztof Hostynski. Any and all are welcome to attend.